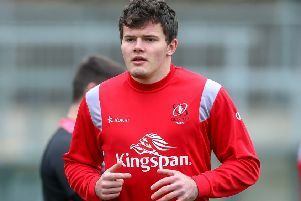 Having shaken off a hamstring injury, international winger Jacob Stockdale will make his season bow on Friday night against Connacht. The 22-year-old Newtownstewart-born man discusses his injury, thoughts for the year ahead and how he wants to improve. The winger, a former Wallace High School student, set high levels for himself last season, especially in the green jersey of Ireland.